The Water Resources Management Authority (WARMA) is an autonomous body established by the Water Resources Management Act, No. 21 of 2011. WARMA exercises control over all water resources in Zambia as envisioned in the Water Resources Management Act. The Act set out provisions to regulate the use of water in Zambia by considering or issuing of water permits with the exception of international shared water bodies. Zambia's Water resources are important for economic growth and the well-being of society. Drying river flows, drying boreholes and reduced water for power generation are clear signs of how land-use and climate change are impacting water resources and consequently on the livelihoods of citizen lives and the economy as a whole. This is the reason why the Government has created the Water Resources Management Authority, to manage Zambia’s water resources effectively, be it surface water or groundwater. WARMA is set up as a national authority to regulate the abstraction of ground and surface water. Under a Director General, four managers are responsible for the departments of Finance, Water Resources Management and Information, Human Resources and Administration and Legal. All efforts are supervised by a board of directors who are selected by the ministry following the guidelines stated in the WRM Act No. 21 of 2011. To fulfil its mandate, WARMA is supposed to be present in all six catchments through local offices (three at the moment). As of November 2017, the organization employs 65 permanent staff. What are the main functions of WARMA? Water is a basic human need and as such domestic and non-commercial needs shall enjoy first priority on allocation of use. 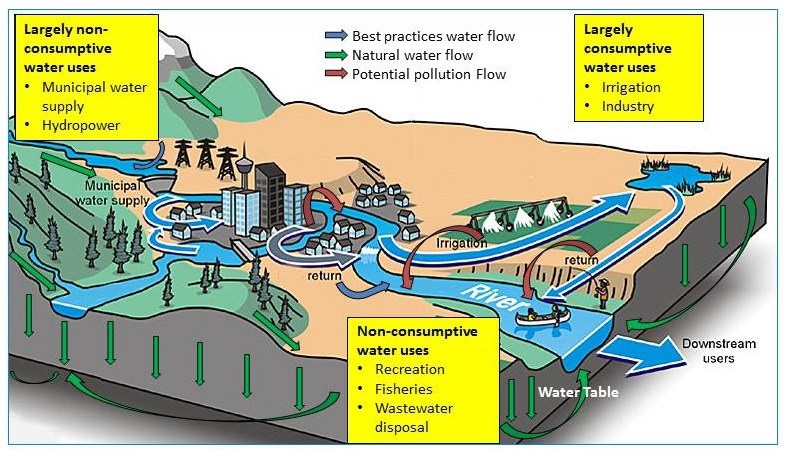 The environment is a water user and shall enjoy second priority of allocation. There shall be equity between all genders in accessing water resources. Why should user pay for water? Water is a resource with high value to the daily lives of millions of people and the Zambian economy. Major business sectors like nutrition, tourism and even the building industry rely on steady water supply. Zambia depends on groundwater: 60-70 percent of all water used in the country comes from this source. Even though the country is richly endowed with a lot of water in the form of rivers, lakes and swamps, its agriculture is mostly rain fed. At the same time, Zambia’s electricity sector is heavily reliant on hydropower (over 95%). The country’s citizens and industries rely on the valuable resource for daily life and operations. Access to water is a basic human right which is often threatened when the resource is not properly managed and not available in adequate quantities and/or quality. Water as an economic good contributes to the prosperity of a nation. Water-related conflicts and disputes in Zambia are already apparent due to competing uses, namely domestic, the environment, commercial agriculture, hydropower and mining. Therefore, water has to be managed by a neutral authority to ensure equitable access for all user groups and prevent and mitigate further conflicts. According to the Seventh National Development Plan (2017-2021), there is a strong correlation between economic growth, industrial growth and water consumption. According to a report by the Indaba Agricultural Policy Research Institute, economy-wide annual losses due to load shedding in Zambia amount to 32.5 ZMW billion (representing 18.8 % of GDP) while losses to the agriculture sector are estimated at 2.83 ZMW billion (representing 1.6 % of GDP). Paying for water emphasizes the value of the resource and encourages measures to protect future access. Of course, the community right to drinking water and ensuring sufficient flow to maintain the environmental values needs to be sanctified. How is the pricing regulated? On 7th March 2018 the Minister of Water Development, Sanitation and Environmental Protection, Hon. Dr. Dennis Wanchinga signed and issued the new regulations on Drillers, Boreholes, and Groundwater, as well as one on Charges and Fees. These regulations were the outcome of a long consultative process with multiple stakeholders, including Drillers, Commercial Farmers, Mining, Hydropower companies, Industrial Companies, the general public and various other interest groups. The public consultation started with the meeting for stakeholders in April 2016 followed by a series of thematic stakeholder meetings for Farmers, Hydropower, Industry, Mines and Municipal water users in Choma and Mkushi (March 3 to 18, 2017). The result of these meeting was a revision of the initially proposed Fees and Charges following the advice of the various stakeholder. This reduction in the final SI was due to the feedback WARMA collected from the stakeholder meetings. The application process starts at one of WARMAS offices or by downloading the necessary application forms on the website. The completed form needs to be submitted to the WARMA main, catchment or sub-catchment office. For more information about timelines see our service charter.